Here is a perfect weekend breakfast for you. It is gluten-free, grain-free, wheat-free, and sugar-free. Can you believe the pancakes are this good for you? 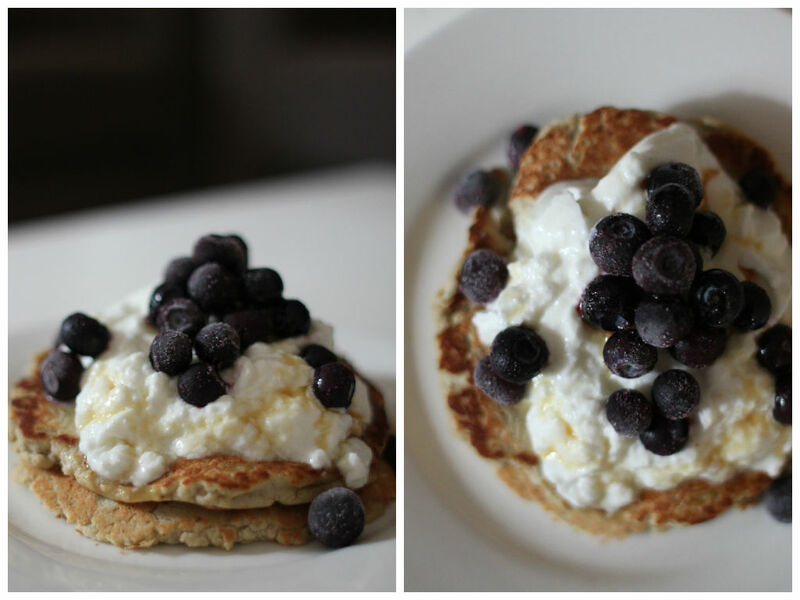 You don’t have to feel guilty having sweet pancakes in the morning. I used yogurt made of goat milk (better for your digestion if you are sensitive to dairy), blueberries and Canadian maple syrup for topping, but add any of your favorite fruits, sweetener, nuts or dried fruits on top. Do you have a jar of coconut oil in your pantry? I hope so. I used to use olive oil and canola oil for cooking, but all I have now is coconut oil for cooking and e.v.o.o for salad dressing. When I started studying nutrition, my eyes almost popped out when I looked at the fat components of different types of oils. OMG! coconut oil has 90% saturated fat! It must be bad for you, right? We are all brainwashed by the media saying “saturated fat is bad for you” and we are driven to buy “low-fat” “no-fat” products. The answer is actually No. Add all pancake ingredients in a large bowl and whisk to combine. Let it sit for 5 minutes so that the coconut flour absorbs all liquid. Heat coconut oil in a non-stick pan over medium heat. Spoon the batter into a pan and cook the pancakes 1-2 minutes each side until golden brown. It is easier to keep them small and carefully flip with a spatula. 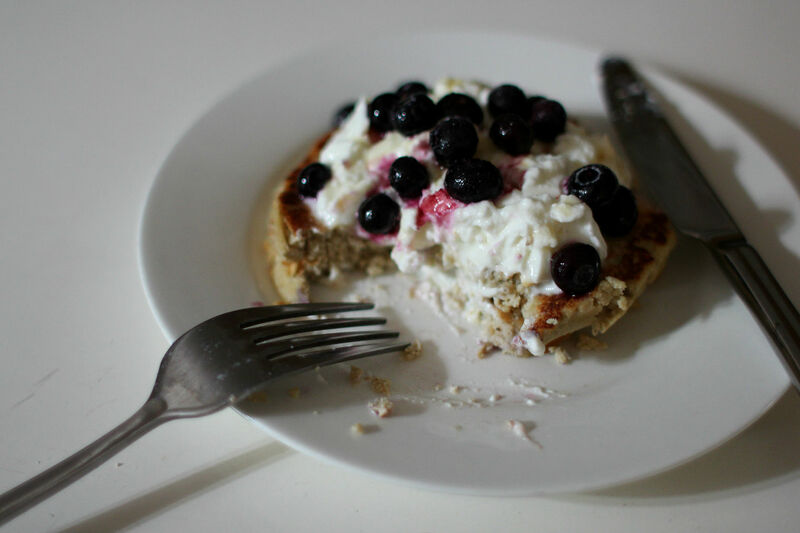 Serve warm with thick yogurt, blueberries and maple syrup on top.